Hy Dear I am taking admission in the MANIPAL University and I want to live in hostel of university so please can you give me the fee details for the hostel and provide me the all expenses of the hostel? 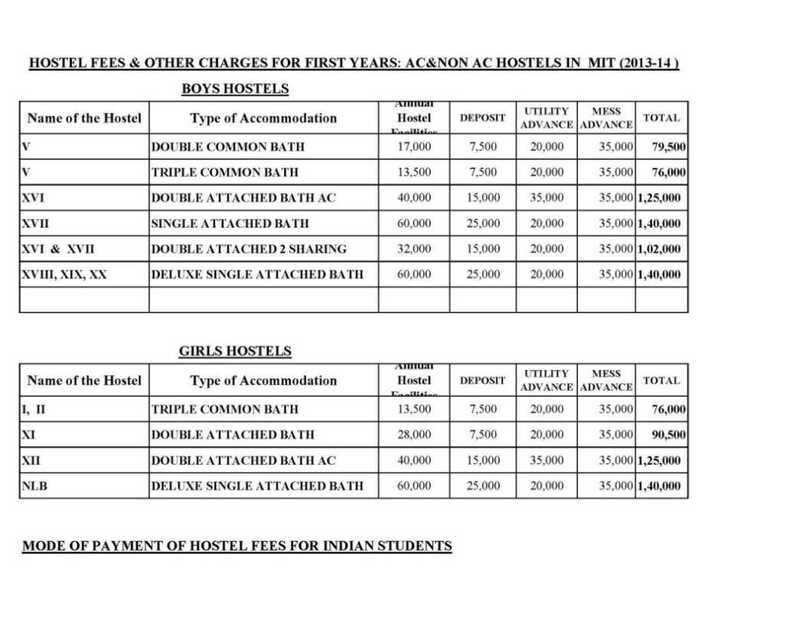 What is fee structure of hostel including (mess and lodging) in Manipal university. It is compulsory for all first year students to reside in the Manipal University Hostels. However, first year students desirous of staying outside under own arrangements must submit a consent letter from their Parents. The hostels at Mangalore Campus are grouped under Chief Warden, Mangalore Campus. What is the structure of fees in hostel in manipal university?